Brooklyn Botanic Garden, 9781889538433, 96pp. The birds, the bees, the flowers and the...TREES "How do trees grow? Why do leaves change? What kind of tree is that? "The acclaimed Brooklyn Botanic Garden's newest guide answers all kids' (and their parents') tree-related questions in an easy-to-understand way. It features 33 different trees that grow in North America, from rural Georgia to the streets of New York City to the California suburbs. 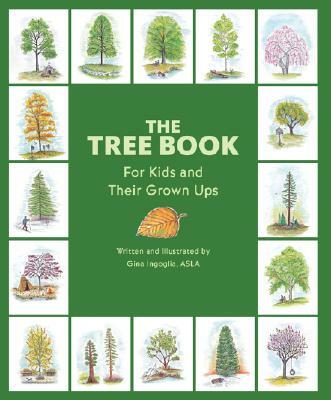 Each profile includes a beautiful botanical watercolor illustration by author Gina Ingoglia showing the tree as it appears in a particular season, as well as life-size depictions of its leaf, flower, and seed. Readers of all ages will be in awe over the wonderful world of trees.